Attorney Newman is a seasoned defense lawyer with more than 30 years of experience in the field. He uses this extensive experience to his clients’ advantage and dedicates his energy to providing aggressive advocacy. Attorney Newman is a seasoned defense lawyer with more than 30 years of experience in the field. He uses this extensive experience to his clients’ advantage and dedicates his energy to providing aggressive advocacy. 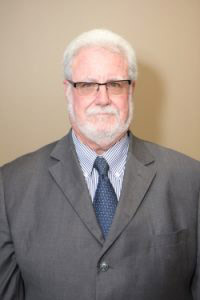 After graduating law school, Mr. Newman was admitted to the bar in 1979 and began working for the Law Offices of Tarlow & Tarlow as a civil trial lawyer. He practiced in many types of civil trial cases, including criminal law, personal injury, family law, disability law, and business law. During this time, Attorney Newman built a strong understanding of white collar criminal charges and the relationship that people have with each other and with law enforcement. That is why he began practicing federal criminal defense exclusively after more than two years with Tarlow & Tarlow.